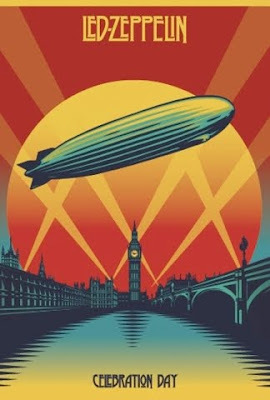 Led Zeppelin premiered their new concert film, “Celebration Day,” in London on Friday. Founding Zeppelin members John Paul Jones, Jimmy Page and Robert Plant were on hand for the event. On the red carpet, Page spoke with the media about the December 2007 concert at London’s 02 Arena. Following a week of premiere events, “Celebration Day” will see a worldwide theatrical release on 1,500 screens in over 40 territories on October 17 before it goes on sale November 19. * Deluxe Editions – 2-DVD/2-CD set and 1-Blu-ray/1-DVD/2-CD set featuring exclusive bonus video content including the Shepperton rehearsals, and BBC news footage. Led Zeppelin: Celebration Day DVD cover surfaces online? Did Robert Plant get married to Patty Griffin?